Some time later, a conversation arose in a forum I am a part of. I’d been thinking about saying yes to trying it but then I didn’t want to be involved in the next fad. People seemed to be intrigued by the product and were thinking outside the box for it’s uses. I dug out the email and replied. Within no time at all, my bag of Huel was on my doorstep. But it still took me a couple of weeks to crack it open. Mainly because upon reading the minimal guidelines on the packaging it seemed I needed to go online to read how to use it and do some calculations. So confined to the bedroom one Saturday whilst my living room was being repainted, I decided this was the perfect day to try it out! I googled the guideline pages and inputed my info to calculate and then decided I would opt for approx. 1750kcal per day or 400 – 500kcal per shake. 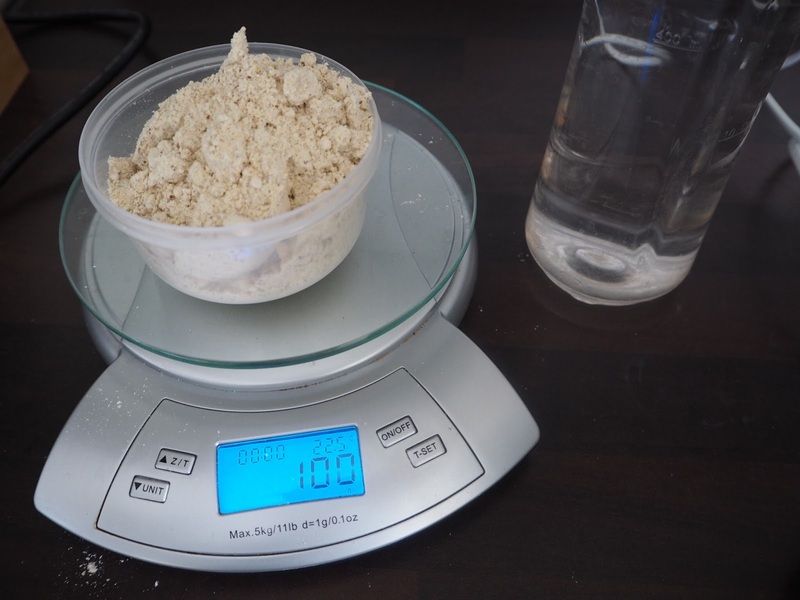 This then worked out to be 500ml of water and 100g of Huel (402kcal). I opted for not adding anything for my first sample, and used my personal blender (after squeezing it out of the cupboard in the packed up living room!). Although to me having to blend it seemed a chore, you can do this once a day for your entire supply and then drink as wanted (it keeps for up to 24hours). It tastes acceptably palatable on its own and I genuinely cannot be bothered to make it into cookies and pancakes right now. Maybe it’s because I’m happy with the principle of drinking my food?! …A few years ago, for a period of time, I engaged in what we used to call #LiquidThursdays (it didn’t have a hashtag then but I feel it deserves one now!). The principle was to give my digestive system a rest, increase hydration levels and if I’m honest, probably to consume less calories. I guess the bonus with Huel for #LiquidThursdays is that I would be getting a nutritionally complete calorie intake! Then I realised how useful it’d be for those working in retail! I work up to two days a week in a store and sometimes find it really difficult to manage my meals around unpredictable hours and breaks scheduled for the benefit of the store rather than my blood sugar levels! I’m allowed to have fluids with me on the floor so why couldn’t I, wouldn’t use Huel in the situations where I am caught short?! 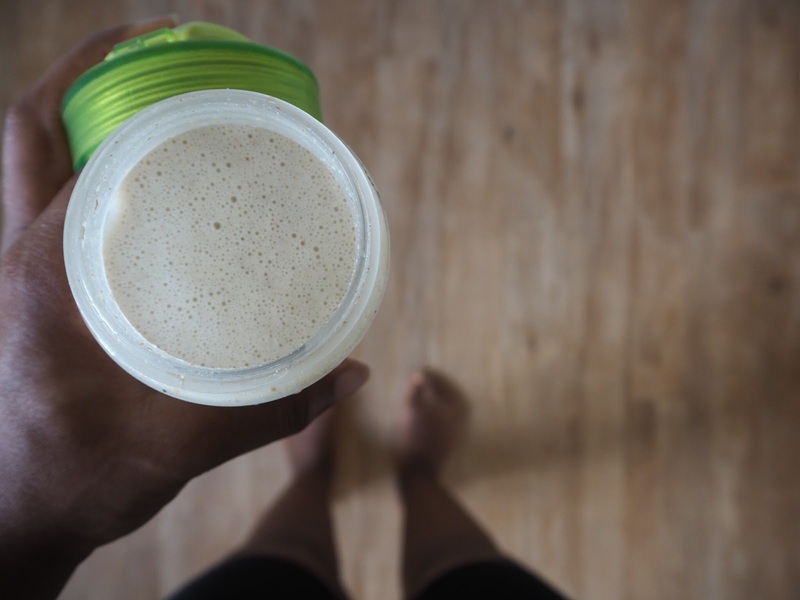 Will I use Huel again?! Yes, yes I think I will. It’ll be useful on those evenings I get in late and don’t wanna cook but need the nutrition. On the days I just fancy some liquid food. For the times I don’t wanna carry half a kitchen with me but don’t wanna eat out. There’s quite possibly a place for it in my life. How do you feel about “drinking your food”?? Would you try this?! I love food WAY too much to use this! For me, the satisfaction in food is a combination of the preparation, cooking, visual, textural and flavour, so a shake just doesn't cut it for me. 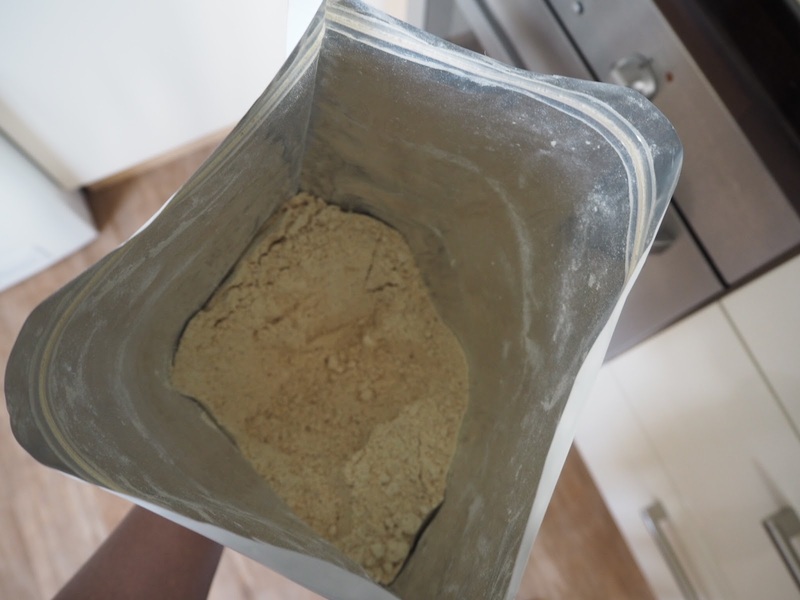 Even when I was using protein powder I'd, more often than not, add it to food rather than drink it! I know there are some who would find it very useful though, and I understand that. I get you! I think I fully sway from loving cooking, eating and all that jazz straight over to can't be bothered! Don't really have an in between! haha! so when I'm on the can't be bothered end of the scale this or a protein shake or something crappy (luckily I never have junk food in my house!) will suffice! Defo more of a now and again than EVER taking over my food palate! I'm planning to get some food intolerance testing soon as I feel I have more than just lactose. But finding a protein that tastes decent that isn't whey is hard! This is in fact a whole meal so contains everything (including carbs and fat) that my body would need! I find it kinda crazy cool! haha!